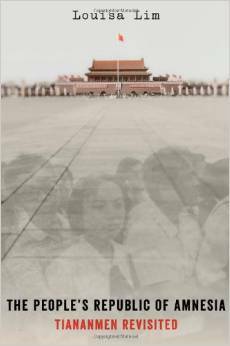 The Diplomat’s Justin McDonnell speaks with award-winning China-based journalist Louisa Lim, about her new book The People’s Republic of Amnesia: Tiananmen Revisited, censorship, and why the events of 1989 still have resonance today. Chinese President Xi Jinping has been very aggressive on censorship, cracking down on activists, and any form of dissent that threatens the ruling position of the party, including Tiananmen. When you decided to write this book, were you fearful that you and those you spoke with would be in danger for daring to confront the events that took place on June 4, 1989? Given the volatility of the political climate, I was very concerned about the consequences for my interviewees. There’s really no way of judging the level of risk for those who publicly confront the events of June 4 1989, but the intensity of this year’s crackdown conveyed an unequivocal message that there is a cost to publicly – and in some cases even privately – remembering what happened in 1989. The very need to weigh up the risks of each sentence is also the reason why my book is necessary. It’s also the reason why, once each interviewee made the decision to speak to me, I bore a responsibility to make sure that their stories were told. I never worried about my own safety, although I did take elaborate precautions to avoid jeopardizing the project. These included writing the book on a laptop that had never been online, which I locked in a safe every night. I was also very careful not to talk about the book either at home or in the office since I lived and worked in a diplomatic compound, which was widely believed to be bugged. I did not mention the book on the telephone or in email, and for a long time I did not even tell my own children what I was doing for fear they might blurt something out in a moment of excitement. A few days before imposing martial law, President Deng Xiaoping clarified his order by saying that stability must be key. The one-system party has carried that mantra now for several decades, this idea of maintaining stability at all costs. Also, most Chinese seem happy with the current trajectory their nation is taking. Why then, is it important for Chinese citizens to learn about censored recent history? To paraphrase Lee Kuan Yew, won’t it just potentially sow unrest and bring about another 100 years of disorder and chaos to the country? There’s no doubt that the Communist Party has been very successful in delivering economic benefits to the masses, whose disposable incomes are on average seventeen times higher than in 1997. But stability maintenance has not been cost-free. The Communist Party’s obsession with maintaining short-term stability has undermined the rule of law, which could prove to be destabilizing in the long run. How do China’s millennials talk about the tragedy and how does that differ from their parents’ generation? If millions of people would go to the streets to demand change today, what would they ask for? The 1989 protest movement remains so potent because many of its demands – for greater political participation, for action against corruption, nepotism and official profiteering – are not just unresolved, but more pressing than ever. In addition to those demands, a constellation of new concerns has emerged including anger over land seizures by local governments, the widening wealth chasm and China’s environmental problems. Ethnic tensions have also ratcheted ever higher, with more than 125 self-immolations by Tibetans in protest at Chinese rule, and an emergent ethnic insurgency in northwestern Xinjiang province marked by a sharp upsurge in terrorist attacks. It is an uncomfortable fact that scenes that would have been extraordinary a decade ago, such as Tibetans setting themselves alight or paramilitary police being deployed into the heart of a city to suppress unrest, are now so commonplace that they are scarcely deemed newsworthy. In many cases, the triggers for mass unrest are extremely trivial – I remember one case involving a playground fight over a mango – yet the absence of outlets for discontent has created a reservoir of simmering rage that can suddenly explode into mass violence. You’ve been living and writing about China now for two decades. I’d imagine the people and the place are extremely important to you. If you were permanently banned from the country for publishing this book, would it still have been worth it? I hope it won’t come to that. I have tried to put forward as nuanced a view as possible, including presenting the government’s own position. In the last chapter, I tell the previously unreported story of the violent crackdown in the southwestern city of Chengdu in 1989, where at least eight people were killed according to the government’s own figures. In my research, I tried to draw upon accounts in China’s state-run media to paint as full a picture as possible of what happened. At the same time, the fear of unknown, unstated consequences has silenced too many people for too long. We who have voices should use them to fill that silence. With its treatment of Gao Zhisheng, Beijing shows the extent to which it fears the rule of law.